Chi Nei Tsang is part of a larger Taoist paradigm of practice that includes meditation, Taichi and Qigong. CNT techniques are easily adaptable to work on yourself as well; thereby offering an opportunity to both heal yourself and share with others these practices to better care for themselves. This system incorporates the Taoist understanding of the meridian systems of energy and the cultivation of energy to keep healthy and create vitality. These precise techniques will enable energy blockages to be cleared in the abdominal area and within the internal organs. Many techniques only work with the body's extremities and energy channels, far from the navel center and the organs. Chi Nei Tsang has been called a most "direct system." 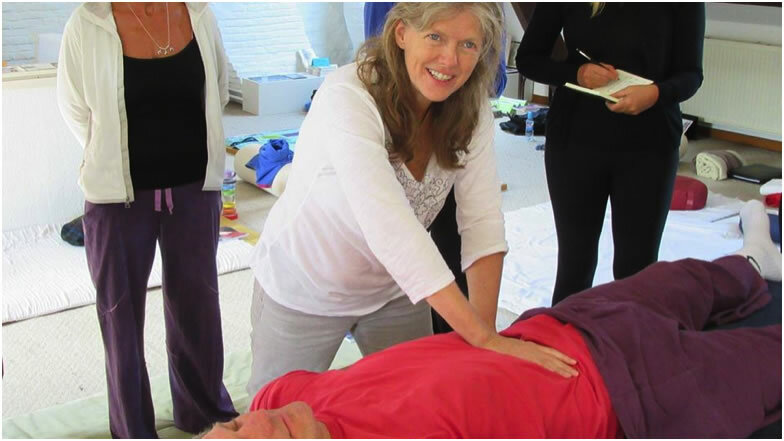 Working with the "tan tien", a source point for all meridians and energy channels.